Competition for audiences was strong, particularly between the theatres in Bristol and Bath. In 1768 the Theatre Royal Bath was granted a Royal Licence. Four years later a rival theatre company led by Laurence Kennedy and John Booth opened in Coopers’ Hall, next door to our Theatre. Without a licence, the Proprietors couldn’t report their unwanted neighbours to the authorities, as they were committing the same crime. 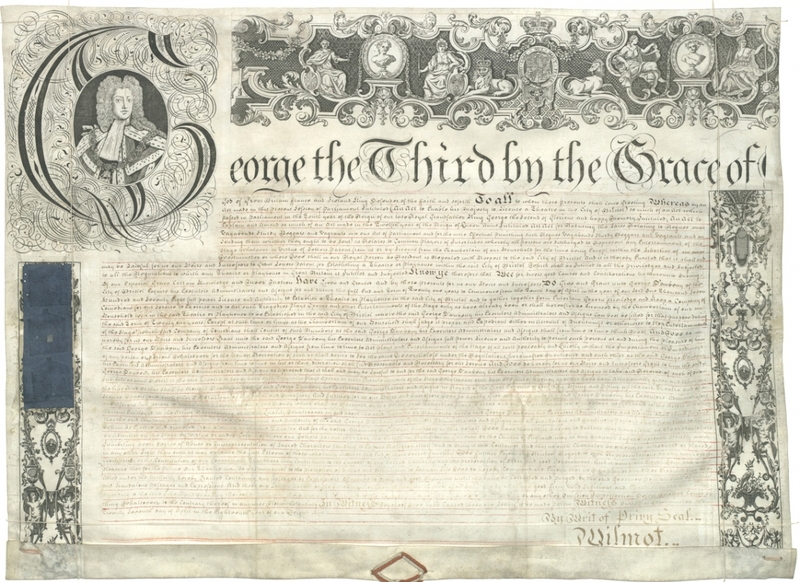 This stalemate prompted Proprietor George Daubney to reapply for a Royal Licence and on 27 April 1778 it was approved, despite some local opposition. Twelve years after it’s opening, the Theatre became a legal venture. From then on ‘the New Theatre in King Street’ was known as the Theatre Royal, Bristol.